The research firm did not disclose which products it expects Apple to announce, but rumors have widely suggested at least a trio of new iPad Pro models will be unveiled as early as this month, including an all-new 10.5-inch model with slimmer bezels and updated 9.7-inch and 12.9-inch versions. The sources expecting an iPad refresh include, among others, KGI Securities analyst Ming-Chi Kuo, Barclays analyst Blayne Curtis, and Japanese blog Mac Otakara. The last of the three expects a new 7.9-inch model that would supplant the iPad mini 4, but other reports deny or fail to mention that particular claim. Last month, Mac Otakara said Apple will host a March event where it will debut its new iPad Pro lineup, a larger iPhone SE model with 128GB storage, and new Apple Watch bands. The report also claimed Apple will add a red color option for iPhone 7 and iPhone 7 Plus, which could be part of (PRODUCT)RED. Apple has yet to invite the media to an event this month, however, and those invites would be on shorter notice than usual if it is indeed planning to announce new products this way as early as next week. In each of the past two years, Apple invited the media to its March event roughly 11-12 days beforehand, including February 26 invites for a March 9 event in 2015 and March 10 invites for a March 21 event last year. There are three plausible scenarios if new products are in the cards: Apple is planning a March event, and invites will go out soon; Apple is planning a Spring event, but not this month; or Apple will share its announcements through a press release as it did when it dropped the price of the fourth-generation iPad to $399 in March 2014. A few reports have suggested the 10.5-inch iPad Pro could face shipping delays, so perhaps Apple will delay announcing it entirely. Apple has hosted March events four times in the past six years. In 2011 and 2012, it introduced new iPad models at the Yerba Buena Center for the Arts. In 2015, it revealed Apple Watch pricing and release date information. Last year, Apple debuted the 9.7-inch iPad Pro and iPhone SE at its Town Hall. One rumor suggested Apple could be planning an event on April 4, but this date was based on Personal Pickup for the 12.9-inch iPad Pro, which is generally not a reliable indicator of an event. The in-store pickup date for 12.9-inch iPad Pro models is a rolling target, as evidenced by the April 10 date now shown. The all-new 10.5-inch iPad Pro is expected to have slimmer bezels, and possibly no Home button, allowing it to have the same overall footprint as the 9.7-inch iPad Pro. This design could foreshadow the rumored 5.8-inch iPhone. The tablet is also rumored to have a higher-resolution display and quad microphones. 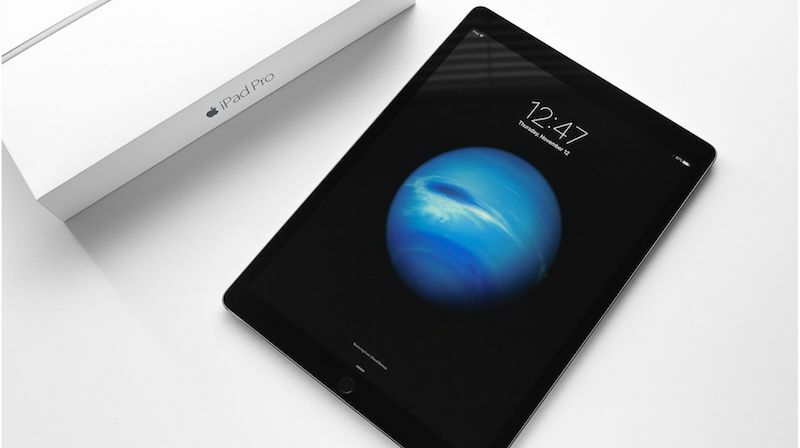 The updated 12.9-inch iPad Pro is said to feature a 12-megapixel rear camera and True Tone display like the current 9.7-inch model, using advanced four-channel ambient light sensors to automatically adapt the color and intensity of the display to match the light in the surrounding environment. For the first time in Apple history, I really don't care. I am on islands with Apple right now. Got the non touchbar MacBook Pro which I will admit I love, it is great, but not really a fan of their other offerings. Have the iPhone 6S, which I love, but have no interest in the 7 or probably not the new phones either. I love the products I have, but the other options they have and seem to be going after are not nearly as interesting as in the past. Keeping my money lately which was never the case in the past. Hmm. Another iPad size? Why? Because they forgot how to make Macs. Yes. New iPads, a red iPhone, and amazing desktops still in the 'pipeline'. I’ll order all four, day of, sight unseen, if this happens.